CrazyFly kiteboards: "Quality you can trust" couldn't be more accurate. Crazyfly has a board for every type and size of rider in all disciplines of kiteboarding. The Crazyfly line up includes popular standbys like Raptor Pro, Allround, and Raptor LTD, plus newcomers Addict, Cruiser Double (tandem board), ATV surf, Strapless surf, and blunt-nosed STRIKE surf. 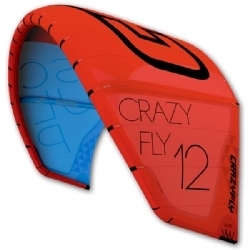 Like its kiteboards, the accessories made by Crazyfly are inherently high-quality, easy to use, and made to ride hard. From pads and straps to fins and screws, all the Crazyfly board accessories are here. Looking for the Crazyfly Rookie Trainer kite? It's here, too! Crazyfly brings you the most amazing, high-quality boards on the water, and now introduces the 2016 line of Kites: The most refined all-purpose, high-performance range in their 7-year history of making LEI kites. 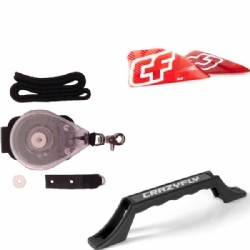 Crazyfly Kite Accessories include all the spare parts and pieces you need to replace worn or broken parts on most any year of the Crazyfly Sick Bar plus kite bladders. 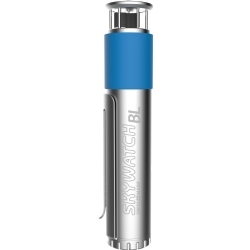 Clamcleat, depower line, Sick Click chickenloop, lock tube, linesets, kite bladders, etc. The Sensei trainer kite is the first ever two line relaunchable trainer kite. 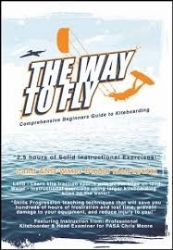 The Sensei is also the most stable & smoothest-flying trainer kite out there! Comes complete with bag, bar, and lines Ready To Fly!! Sensei trainer kites come in 2 meter and 3 meter sizes. Miscellaneous kiteboarding accessories including Gojoes, Self-launch tools, sand weight bags, lock tubes, hitchsafes, and more. PKS Leashes feature push-away slide-release action for safely disengaging when things get out of control and you've already thrown your chickenloop release. Oceanus Reel leashes are the ONLY safe kiteboard leash, and now come in Quick-release versions as well. 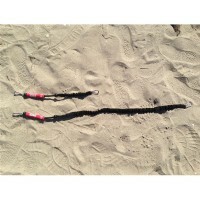 Kiteboard retrieval equipment. Including reel leashes and inflatable board visibility systems. Same double-action high-output pumps as other brands, much better price. Protec and Sandlot helmets, Dakine impact vests, ION and NP flotation vests and othe protective equipment available from PKS Distribution. The harness is one of the essential pieces of equipment for kiteboarding. Comfort and quality are the most important features of your harness since you'll be wearing your harness every time you kite. Dont skimp on your harness. 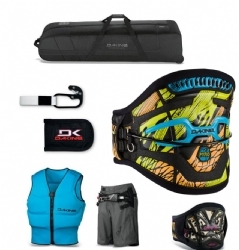 Harnesses come in waist, seat, or boardshort varieties and we carry the full range of Dakine kite harnesses. 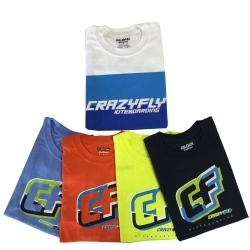 Crazyfly T-shirts and Water jerseys for before, after, and during your session. ozone trainer kites. The ignition v2 and the Ozone Uno available through PKS distribution.